Factor in healthcare apps and wearables that automatically collect and analyze data and prescribe ways for wearers to improve their health and wellbeing, and data-driven technology really is at the coal face of change in the global healthcare sector. Sophisticated electronic medical record systems are being rolled out to streamline and optimize data management. Data is mined from a host of different sources, analyzed and shared on a single platform. All healthcare providers who have access to these data management systems can tap into patient records and build the data base by adding relevant information to each set. Shared data translates into huge costs savings. Personnel are no longer required at each point in the healthcare stream to manage duplicated records. Up-to-date patient information is instantly available at a single source. Predictions are that data experts will soon be as important to healthcare as the clinicians themselves. They’ll primarily be responsible for the sustained management and analysis of massive sets of data known as data lakes. Another purpose of this sort of managed care using big data is to help keep people healthy at home so they don’t have to make so many trips to the hospital. Proper management all of this patient information streaming into data lakes from sensors and wearables will be essential. Hiring data scientists will be the only way to go for healthcare professionals to be able to identify potential health problems from sensory data and send the right expert to intervene. Arguably one of the most exciting aspects of big data is its predictive capabilities. By extracting information from existing data sets and using AI-based analytics, healthcare professionals can determine future medical trends and patterns. That doesn’t mean you can use predictive analysis to determine which Vegas games you should play online in order to win! It does however mean that clinicians can identify the best way to treat a disease based on the individual’s personal history. They can also analyze the patient’s family history and DNA, identify high risk areas and prescribe preventative treatments to arrest the development of these diseases. From now on, life threatening conditions like cancer, cardiovascular disease and diabetes will not have one treatment protocol prescribed to all patients. Instead, treatment will be individually targeted based on the patient’s DNA and how he or she responds to that particular treatment. The ground-breaking ability to marry big data with genomics means that in the future doctors will be able to focus on treating diseases in the very early stages of development. They will even be able to reverse the process by prescribing treatment that changes the affected biome back to its former healthy state. The roll out of big data in healthcare enables pharmaceutical companies to develop new drugs more rapidly and effectively. Using predictive modelling and biological and clinical data sets, drug companies can precisely identify the best candidates for drug trials. In addition, the deployment of advanced AI algorithms in tandem with real-time monitoring of these drug trials means that the latest biologicals, medicines and drugs are available for public consumption a lot quicker than in the past. Big data is central to disease prevention, enhanced patient outcomes and reduced readmission rates. It’s the driver behind shared fact-based patient information that’s available at the click of the mouse. With big data firmly in your corner, the odds of an extended and disease-free life are better than ever. 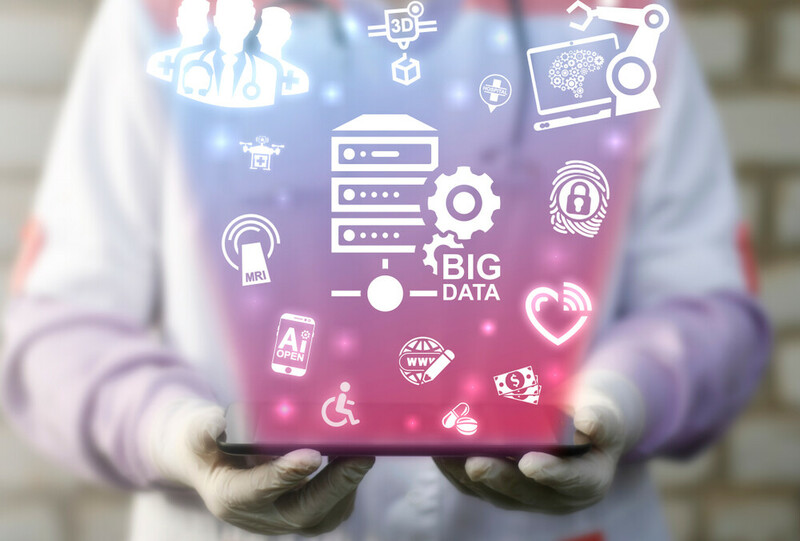 Be on the lookout for new applications of big data to emergency medicine, preemptive healthcare, genomics, and pharmaceuticals.